I seem to have done a fair few 'repurchase' posts recently, unintentionally, but I think all my favourite makeup products seem to have run out at once! 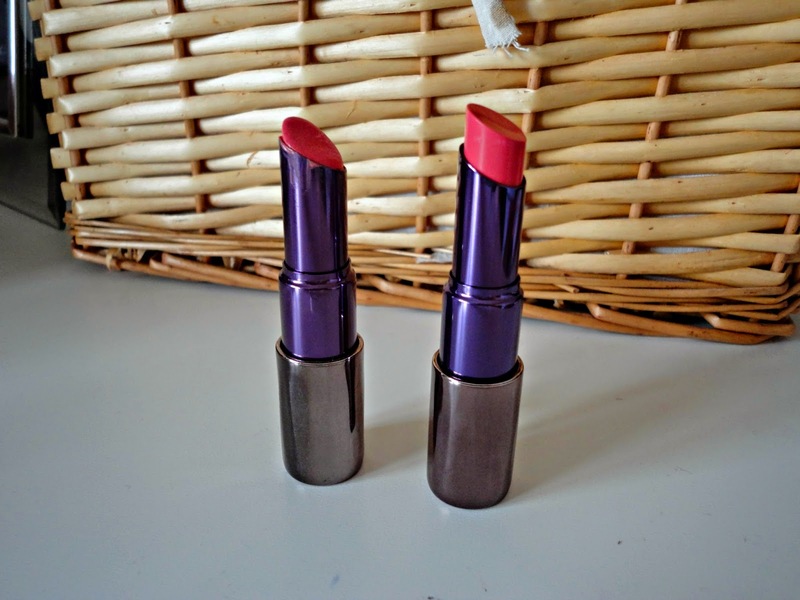 This repurchase was an absolute must for me: the Urban Decay lipstick in 'Streak'. You can see my original rave about this here, but my feelings towards it are still the same: I LOVE IT. It goes with everything: a tan, a smokey eye, a gold eye, just mascara, no makeup, which makes it the perfect lipstick. I thought that nothing would ever beat MAC's 'Creme Cup' but this is so so beautiful and I wear this probably 5 days out of 7, especially now it's summer and I want to wear more coral colours. I love the formula of this lipstick too, creamy but pigmented, doesn't cling to dry patches but doesn't slip off your lips. I just know that I will continue to repurchase this lipstick as long as it's around! Urban Decay: please never discontinue this!